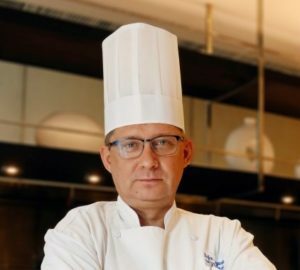 How much can a chef take to achieve success? Much had been said about the 30-year-old’s triumphs at elevating the aggressively expanding Bistro Group’s status and keeping their brands relevant in the country’s fast-expanding food scene. While Boutwood is not the type to puff out his chest in a show of dominance, he is not shy about declaring his personal victories. “Yes, it does feel like it’s my year,” he thoughtfully proclaims. 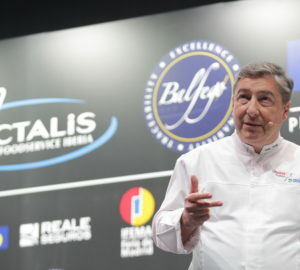 With a speaking engagement at this year’s Madrid Fusion Manila, a handful of chef collaborations, multiple magazine covers, and a number of product endorsements under his belt, his most notable achievement is still the critical success of The Test Kitchen. 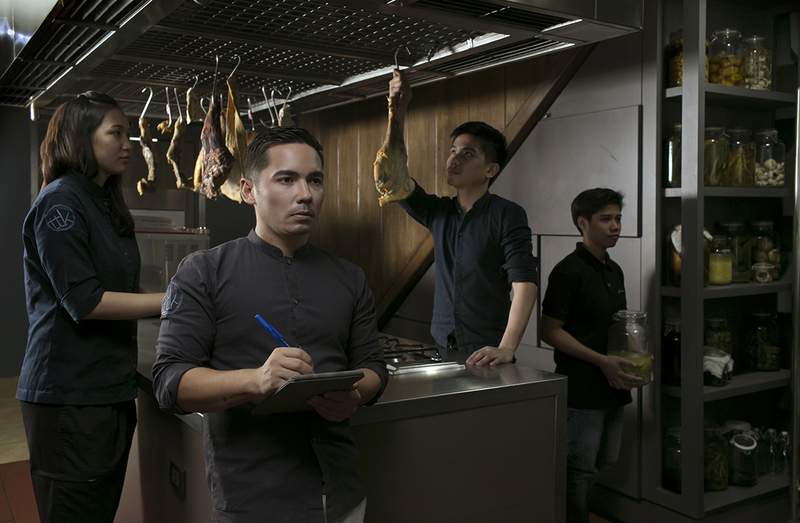 His first restaurant in the Philippines was Alchemy in Boracay, and while it did quite well for a little joint preparing food that was way ahead of its time, it wasn’t enough to sustain a small family. Admitting to having an “addictive personality,” Boutwood immersed himself in work and was completely consumed by running the restaurant. Consequently, his relationship with partner Nilla Ström suffered. “We separated for several months,” he admits. “(Eldest daughter) Malaya was around four or five. They went back to Sweden.” The addictive personality did not help when Boutwood was left to his own devices in the country’s premier party island. “Boracay was bad for me,” he says. “There’s really nothing much to do there but drink and party. You wake up with a hangover, then you nurse that with a drink, and the whole cycle starts over.” He left the island to focus on getting his act together and ultimately, get his family back. “Nilla told me if I was really ready to work on our relationship, then I should pick them up,” Boutwood relays. He tells us how he timed it, quite horribly, during the holiday rush and ended up getting delayed. But, all is well that ends well, and he flew his girls back to Manila where they moved into a bigger apartment to start life anew. “Boracay was bad for me,” he says. “There’s really nothing much to do there but drink and party. You wake up with a hangover, then you nurse that with a drink, and the whole cycle starts over,” says Josh Boutwood. Even if it seems Boutwood is bad at timing, he could not have opened The Test Kitchen at a more appropriate time. The scene—adventurous, savvy, and on the lookout for talent—was finally ready for him. But he admits to not leaving things to fate. Bistro Group was fast expanding, bringing in one franchise after another, and eventually straining his relationship with his family yet again. Having learned from the past, he knew he had to put his foot down. The opening of Denny’s, an American diner that operates 24 hours a day, demanded much of his time, taking a toll on him and his family. Boutwood knew he had to do something about it. He had one of his usual talks with the VP and hinted that his pitch for a fine-dining concept had to be approved—or he would walk out the door. Finally, The Man relented and gave him a modest budget for The Test Kitchen. The first month yielded negative profits, but after some adjustments in the inventory, the following months proved to be more successful. It was then that Manila knew what Boutwood could truly do. Respect and appreciation seem to come from all sides. His team thinks the world of him. 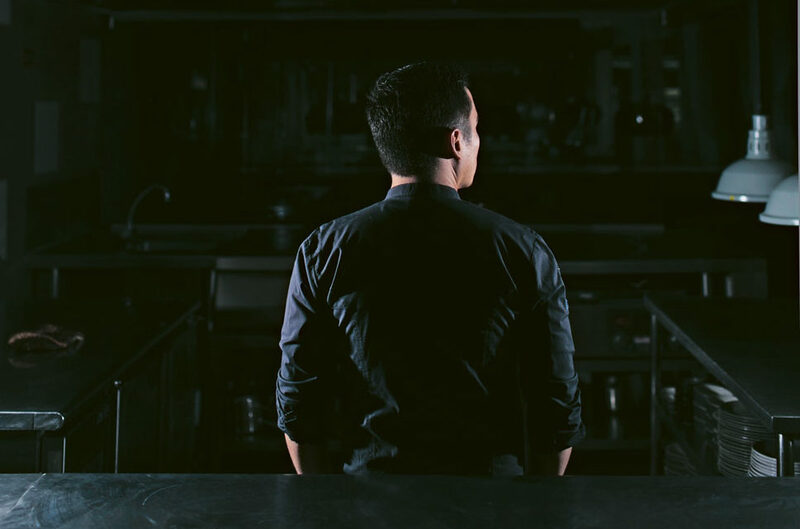 “He gives credit where it’s due,” says sous chef Mikee Lopez, who first worked with Boutwood during culinary competitions abroad. Watching him work so calmly under pressure surrounded by the chaos in these competitions proved to Lopez that he’s the real deal. 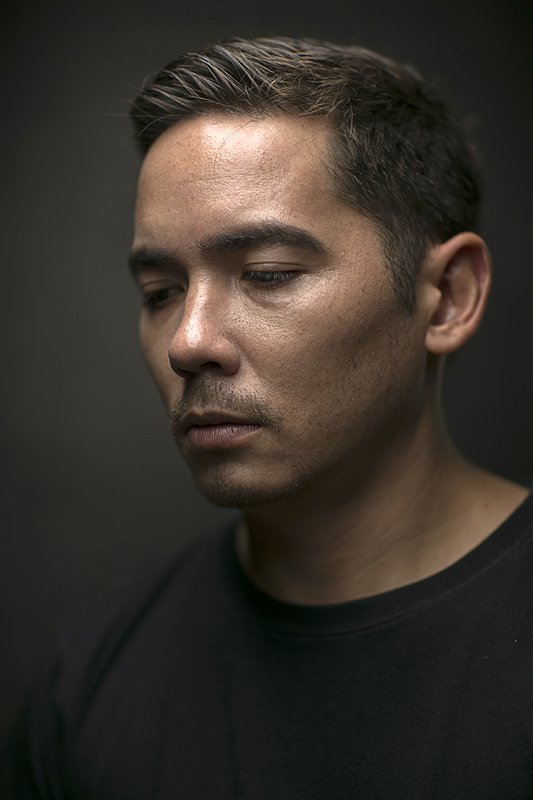 Allen Lim, who is quite the cheeky comic, turns somber when it’s about his boss. “Hindi siya nangpapahiya,” he says. “And he’s never too big to say ‘thank you.’” Melanie Dimla, the longest-serving member of Boutwood’s team, shares an important lesson he taught her. “Kung gusto mo talaga, do it. Go for it,” she relays. Boutwood does practice what he preaches as he continues to go for it himself. With two concepts opening in BGC, the company that mostly relies on foreign franchises has finally decided to put serious money behind their guy. Because, finally, Boutwood has proven that there is only one brand they really need. And they have had it all along.